Mother Goose highly appreciates your interest in the hotel and your visit to its website. We attempt to report the information on our website as accurate and up-to-date as we can. Mother Goose reserves the right to make alterations of prices, special offers, facilities, images and other information on the website at any time. No rights can thus be derived from the contents of this website. Mother Goose cannot be held liable for the consequences of using the information on this website. Information on this website in all forms (in text, forms, images, maps, audio, video, etc.) is the property of Mother Goose, unless stated otherwise. Saving this information may only be done for personal use. If you cite information, please refer to the source. Nothing is to be made public, reproduced, changed or distributed without the explicit consent of Mother Goose. The website is checked for viruses on a regular basis, but the absence of viruses that influence the functioning of your computer or programming can, unfortunately, not be guaranteed. Various pages of this website are points of entry of third party websites. Mother Goose is not responsible for the maintenance of such third party websites, nor is it responsible for the contents of such websites and the consequences of using the information on these websites. Mother Goose does not wish to receive confidential information through the website, or information that is copyrighted by third parties. Any form of comments, suggestions and questions that you send to Mother Goose, are considered to be non-confidential and free of copyright. Mother Goose reserves the right to use the information provided by you, to reproduce, alter, or distribute this information, regardless of the purpose. Information sent by Mother Goose by e-mail is intended exclusively for the recipient. Use of this information by anyone other than the intended recipient is not allowed. The duplication, publication, spreading and/or provision of the information to a third party is not allowed. Mother Goose is not responsible for the timely and correct delivery of the information contained in the email. No rights can be derived from the information in e-mails sent by Mother Goose. 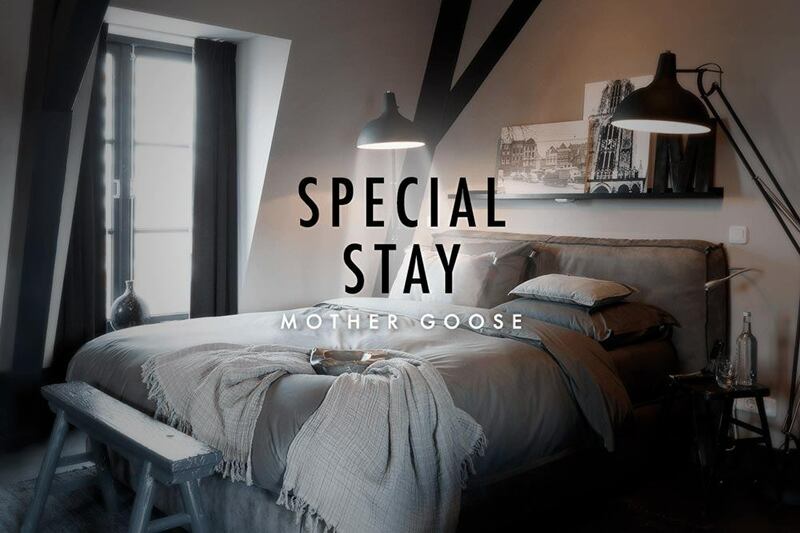 Please direct any questions regarding the aforementioned information to welcome@mothergoosehotel.com or +31 (0)30 303 6300.